Thank you to everyone who nominated Paxum in the GFY Awards! We are thrilled to be nominated in the following 3 categories, and we invite you to vote for us if you feel we deserve to win again! 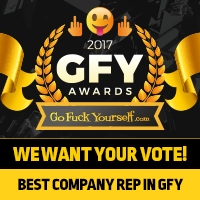 Since 2011, the wonderful members of GFY have voted us the Best Payment Service every single year, and we are very grateful for your nominations and votes! If you believe we should win again this year, please vote for us! Voting is open until December 13th 2016 for the preliminary voting, and then a second round of voting; the final round of voting, will commence! Paxum Voted Best Payment Service 5th Year in a Row!